Letters Are My Friends | Tonight: “VOLT” Musicvideo Release & Taprikk Sweezee Live! 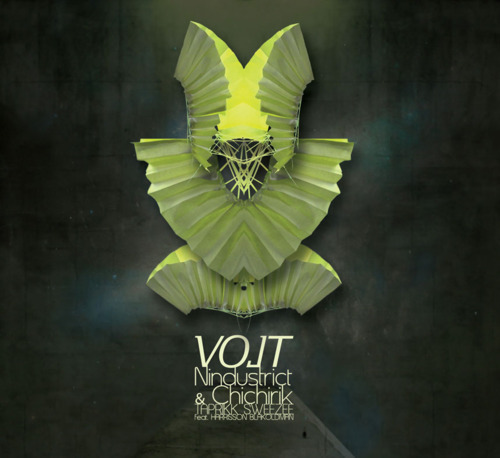 Tonight: “VOLT” Musicvideo Release & Taprikk Sweezee Live! TONIGHT: 3rd June 2011 / screening starts around 9 / 10 p.m. Since end of last year Chichirik and Nindustrict are working on this musicvideo for TaprikkSweezee’s VOLT on his ‘poly ep’ . Now finally, after some Berlin-Hamburg-Berlin-Hamburg-harddrive-transfer-kits and editing sessions between the animation artist from Russia Julia Burghard aka ChiChirik and Nindustrict in Berlin, actually a motiondesigner doing a lot with animated typography, they finished “Volt” a couple weeks ago and decided to do a lil over-and-out event with us! We are really proud to present “Volt”, two days after our opening and just before they gonna upload the video and release it online tomorrow 4th June 2011! It is a really untypical video for them, because they worked without animations, but with a dancer. We gonna start as soon as it is dark enough.. so step by, say hi and grab some drinks with us. It will be a cosy event, so don’t come to late and dont forget to see Taprikk Sweezee’s Live Performance! WhooopWhooop!